Incredible 51' of lake frontage on Dewey Lake! Enjoy your morning coffee and evening entertaining on your large lakeside deck overlooking a peaceful corner of Dewey Lake. 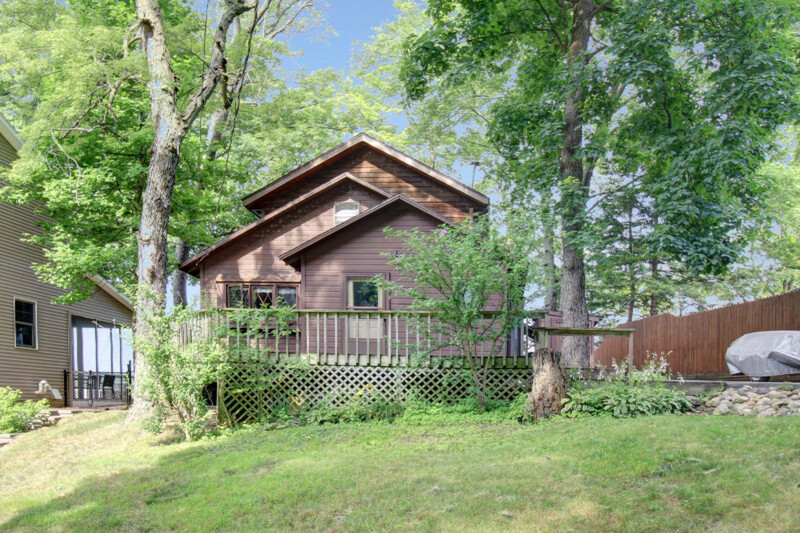 Sitting on a quiet tree lined street, this classic Dewey Lake cottage has 3 bedrooms with an additional sleeping loft and views that span throughout the main floor living area. Lakeside on a deep wooded lot, your private 51 feet of prime water frontage is ready for you to enjoy all your favorite lake activities! Beware of Sasquatch.